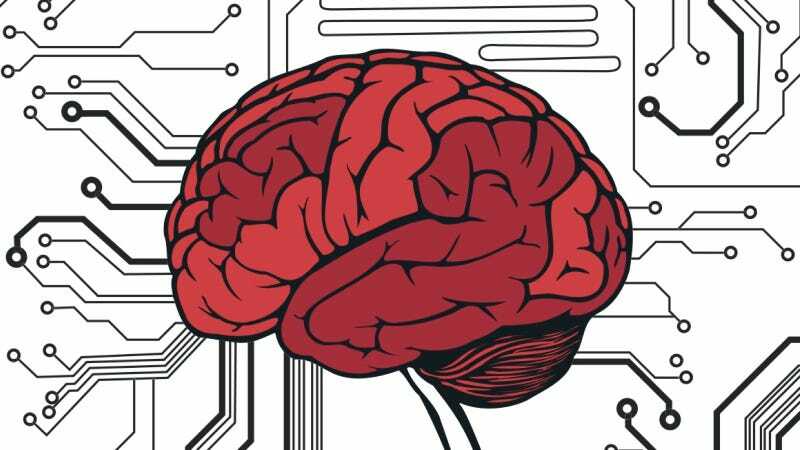 If your brain were a computer, how much storage space would it have? The comparison between the human brain and a computer is not a perfect one, but it does lend itself to some interesting lines of inquiry. For instance: what is the storage capacity of your brain? Is it time to move past the idea that our brain is like a computer? The answer to the first question – how much storage space is there inside the average human head? – varies considerably, depending on who you ask. Some estimates come in as low as 1 terabyte, or approximately 1,000 gigabytes. These days, you can purchase an external hard drive with twice that capacity for under a hundred bucks. The human brain contains roughly 100 billion neurons [Ed. note: closer to 86-billion, actually, but now we're just being nitpicky]. Each of these neurons seems capable of making around 1,000 connections, representing about 1,000 potential synapses, which largely do the work of data storage. Multiply each of these 100 billion neurons by the approximately 1,000 connections it can make, and you get 100 trillion data points, or about 100 terabytes of information. Your basic synapse is a connection between two neurons: a presynaptic neuron, and a postsynaptic neuron. Presynaptic neurons release neurotransmitters, which dock with receptors on the postsynaptic neuron and activate what are known as ion channels in the postsynaptic cell membrane. Ion channels are like a neuron's gatekeepers; they allow charged atoms such as sodium, potassium and calcium into and out of the cell, and are thought to play an important role in the regulation of synaptic plasticity, i.e. the strengthening or weakening of neuronal connections over time. All this is to say that when neurons talk to one another, there's more regulating their communication than a simple on/off switch. Most of the computer chips that we use to model brain activity operate in this binary fashion – but the brain probably doesn't work this way. ... neurons combine so that each one helps with many memories at a time, exponentially increasing the brain’s memory storage capacity to something closer to around 2.5 petabytes [1 petabyte ≈ 1,000 terabytes]. For comparison, if your brain worked like a digital video recorder in a television, 2.5 petabytes would be enough to hold three million hours of TV shows. You would have to leave the TV running continuously for more than 300 years to use up all that storage. So, which is it? One terabyte? 100 terabytes? 2.5-thousand terabytes? Or can you fit an entire human consciousness into just 300 megabytes (approximately 60 3-minute MP3s), as suggested in an episode of Caprica? Perhaps these questions are irrelevant. As Reber himself says: "if your brain worked like a digital video recorder, 2.5 petabytes would be enough to hold three million hours of TV shows." We've already established that our brains don't work like DVRs, or the vast majority of computers, for that matter, and so down the rabbit hole we go: how much brain-space does a memory occupy? Does a more detailed memory take up more space than a foggy one? Have forgotten memories been deleted, or have they been relegated to some forgotten subfolder in the dusty corners of your consciousness? Does a deeply rooted, subconscious bias take up more space than a transient dream? Is each encoded in different file format? And while we're exploring the brain/computer/file-size/file-type metaphor: what is the cognitive equivalent of a GIF, anyway? Perhaps a better question is whether the size of memories and the storage capacity of the human mind are things that can be measured at all. Reason would suggest that the brain's capacity is, in fact, limited, and therefore can be measured. Determining what it's limited by, exactly, and how to quantify those limits, would be a significant boon to fields as diverse as neuroscience, robotics and computer science – especially where the three overlap.